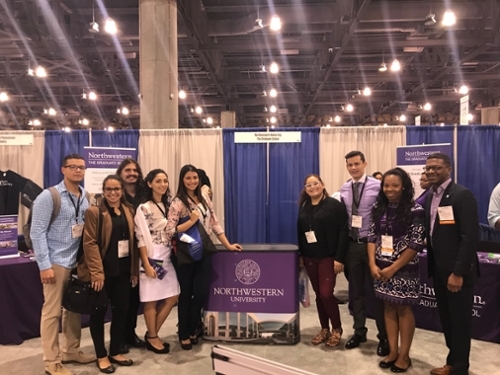 Overall: As part of Northwestern University’s diversity initiative, Northwestern sends out members of The Graduate School to the Annual Biomedical Research Conference for Minority Students (ABRCMS) each year, representing multiple biomedical departments from both the Evanston and Chicago campuses. 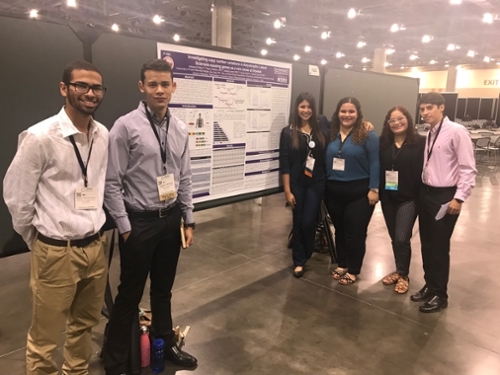 Managed by the American Society for Microbiology, ABRCMS is the largest undergraduate national conference for underrepresented students in biomedical research and across the STEM disciplines. ABRCMS has been scheduled annually since 2001, and has been constantly growing since its’ inception. This platform provides a perfect haven for students to present their research projects, receive feedback on their accomplishments, participate in professional development workshops, network with current leaders in the biomedical world and graduate/medical school programs, and meet hundreds of other undergraduates from across the U.S. and territories (future science leaders of tomorrow!). What we did: A large objective of why we attend ABRCMS is to recruit the next talented class of graduate students (MS, PhD, MD/PhD, etc.) and brand ourselves as a leading university for graduate training and research in the country. We use several different forums in order to maximize our time with the many students who attend ABRCMS. This includes judging posters presentations, providing feedback personally to students, networking with current undergrads during conference breaks, visiting oral presentation sessions, and hosting a Northwestern information booth in a career fair throughout the four days of the conference. These multiple avenues provide an opportunity to get to know the student personally, gauge their talent and current position in the training pipeline, and most importantly, engage them one-on-one to discuss their future plans in science or medicine, and explore how Northwestern can fit into those plans. Who we saw: The students, hundreds of them! 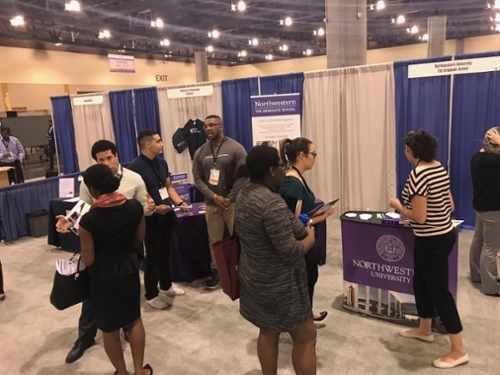 Programs from across the country take their students to ABRCMS, as an effort to peak their interest in graduate school, medical school, and other programs. Specifically, ABRCMS is an amazing catalyst in creating opportunities for current students, by connecting them with pipeline programs and other career programs that enhance their ability to pursue enrollment in continued higher learning and STEM field employment. Learn more about ABRCMS 2018, which will take place November 14-17th in Indianapolis!